Just as far sighted regulators and entrepreneurs leveraged universal access to electricity to drive inclusive economic growth in the 20th century, today’s leaders must take significant strides to make renewable energy accessible for all Americans. This is not simply a matter of fairness and equity. Existing market practices and public policies in both renewable energy production and energy efficiency are failing to benefit low and moderate income families, resulting in missed opportunities for economic growth. 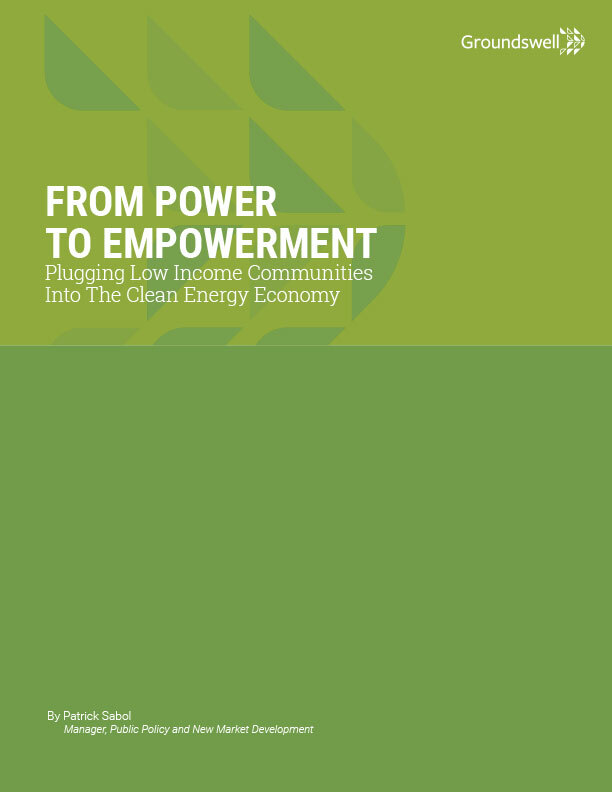 This white paper details the critical relationship between energy and economic opportunity in the United States, as well as a call to action to accelerate the adoption of community solar legislation, to expand and support energy efficiency programs that align with community solar, and to drive consumer adoption of these programs through place-based community organizations.